An outstanding weekend for Savabeel was crowned in Hong Kong last night with further stakes success. 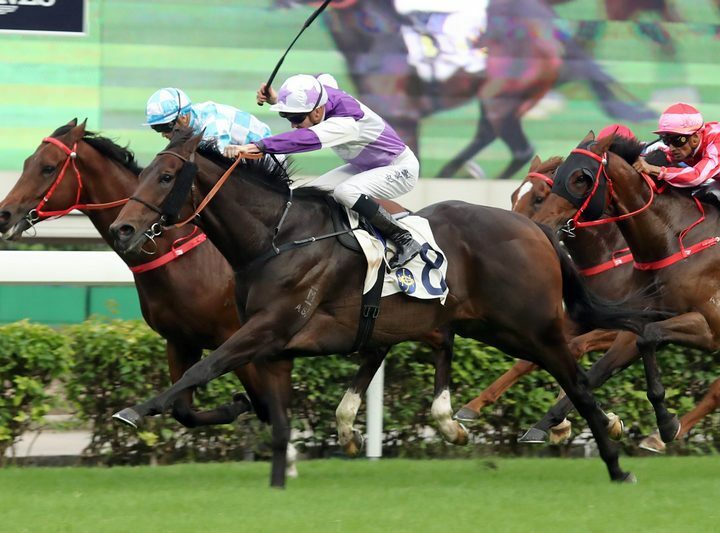 The Richard Gibson-trained Rattan produced an upset when he triumphed in the G2 Sprint Cup at Sha Tin. Fourth in the Gr.1 Queen’s Silver Jubilee Cup two runs back, the five-year-old raced in third spot to the turn. He was under a ride from Chad Schofield at the top of the straight but responded gallantly. Rattan finished determinedly to collar the heavily-favored duo of Beat The Clock and Mr Stunning. He was originally purchased out of Mapperley Stud’s Karaka draft for $150,000 by Bruce Perry. Rattan is a son of Grand Princess, also the dam of stakes winners Her Royal Highness and Captain’s Command. The third dam Grand Jette won the Gr.3 Taranaki 2YO Classic and was a Group One placegetter.